Tax season officially began on Jan. 28, 2019. Now is the time for you to brush up on real estate tax tips so you can file correctly and on time. Whether you're preparing your taxes on your own or having an accountant help you, real estate and tax professionals across the country shared these insights with us. 1. Don't forget your mileage. "Many real estate agents leave money on the table when it comes to their mileage," says Thomas J. Williams, an enrolled agent and tax accountant who operates Your Small Biz Accountant, LLC, a virtual boutique practice with a focus on rental real estate. "Depending on where you work on a regular basis, the tax deduction may include attending meetings, putting up for-sale signs, running business-related errands and completing floor time at your broker's office." Tip: Keep track of your mileage throughout 2019 using a cloud-based app to store all your information. 2. Watch how you expense gifts. In a people-facing role, it's important to remember the small touches that make your clients feel appreciated—but watch how you're expensing gifts you buy. "Gifts are big issue," says Schneider. "Gifts are deductible to the extent of $25 per person per year, or, if your client is a couple, then its $50 per couple per year." 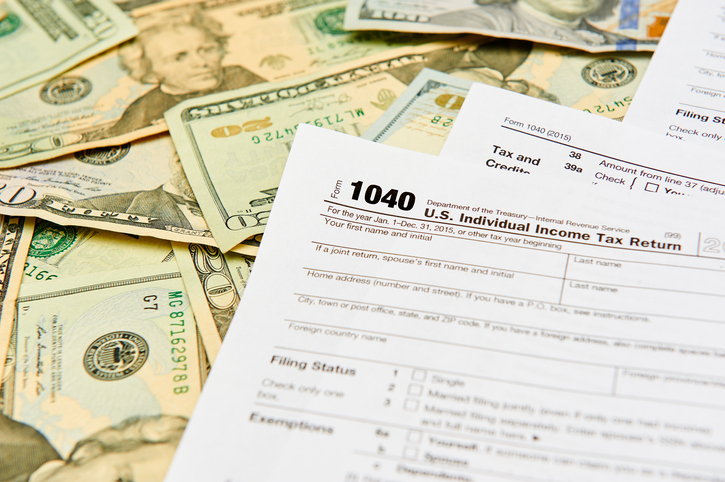 That means if you're buying a big-ticket item for your clients, like a washer or dryer, the amount you can claim for the 2019 tax season is limited because it's still classified as a gift. 3. You can still save for retirement. Many real estate professionals might not have a 401(k); however, this doesn't mean that you can't save for retirement come tax time. One consideration is to fund an IRA. If you're at the start of your career and still in a lower tax bracket, you might want to consider funding a Roth IRA. Roth IRAs don't provide a tax break for contributions, but when you pull the money out of the Roth IRA, it's usually tax-free. If you're in a lower tax bracket right now and don't need the tax break, you might want to consider this as an option to save for retirement. 4. If you can't organize your taxes before the deadline, file for an extension. Time management can be tricky. If Tax Day in 2019 is coming up too soon for you to get organized, you can file an extension so that you can file taxes at a later date, six months in the future. Remember, this extension doesn't allow you to pay your taxes at a later date. You'll have to pay an estimate of what you think you'll owe on time. Then when you file your taxes, you'll be able to account for any adjustments. 5. Don't forget about your education deductions. Real estate continuing education and professional development is a great way to stay competitive (and CE is also a requirement in most states). Your education is tax-deductible, including online courses, classes, trade shows, conferences or coaching. Taxes for real estate professionals can be tricky and making a mistake can be costly for you and your business. If you're not sure how to file or if you want someone to check your work, approach a professional who is experienced in giving tax tips for real estate agents and can walk you through the ins and outs of tax season.